I’m pleased to let you know that following a request from staff members in the Centre of African Studies (CAS) the Library now has access to Oxford Bibliographies: African Studies collection. You can access Oxford Bibliographies: African Studies via DiscoverEd, the African Studies LibGuide or via the entry to Oxford Bibliographies on the Databases A-Z list. I’m happy to let you know that following some successful trials in the last couple of years the Library has purchased the News, Policy & Politics Magazine Archive from ProQuest. This resource offers digital access to the archival runs of 15 major 20th and 21st century consumer magazines covering such fields as the history of politics, current events, public policy and international relations. Central to this collection is the archive of Newsweek, one of the 20th century’s most prominent and highest circulating general interest magazine. Thanks to a request from staff in the School of Social and Political Science the Library now has online access to all 7 volumes of the International encyclopedia of public health (2nd ed.) The Encyclopedia is an authoritative and comprehensive guide to the major issues, challenges, methods, and approaches of global public health. 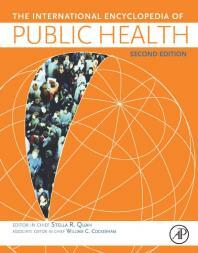 You can access the International encyclopedia of public health via DiscoverEd. 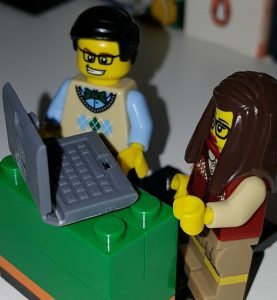 Access is available both on and off-campus. I’m pleased to let you know that a large portion of American anthropologist Ruth Benedict’s professional and personal papers are now freely available online. These have been made available by Alexander Street Press via one of their open access initiatives Anthropology Commons. We’ve been revamping the library subject guides for School of Social and Political Science. So if you’re just starting at the University or you are a returning student why not take a look? The subject guides include information about and links to library resources, facilities and services both specifically for your subject area and for general library use. These subject guide pages have been completely overhauled and we hope these will prove useful to you. I’m happy to let you know that following requests from staff in Politics & International Relations the Library has purchased access to The Encyclopedia of Political Thought online from Wiley Blackwell. The Encyclopedia examines the history of political thought, contemporary political theory, and political philosophy. You can access The Encyclopedia of Political Thought via DiscoverEd. I’m pleased to let you know that the Library has purchased access to the House of Lords Parliamentary Papers (1800-1910) from ProQuest. This resource provides online access to previously unseen and valuable historical documents and is the very first digitised collection of 19th century House of Lords Parliamentary Papers. You can access the House of Lords Parliamentary Papers (1800-1910) via the Databases A-Z list.